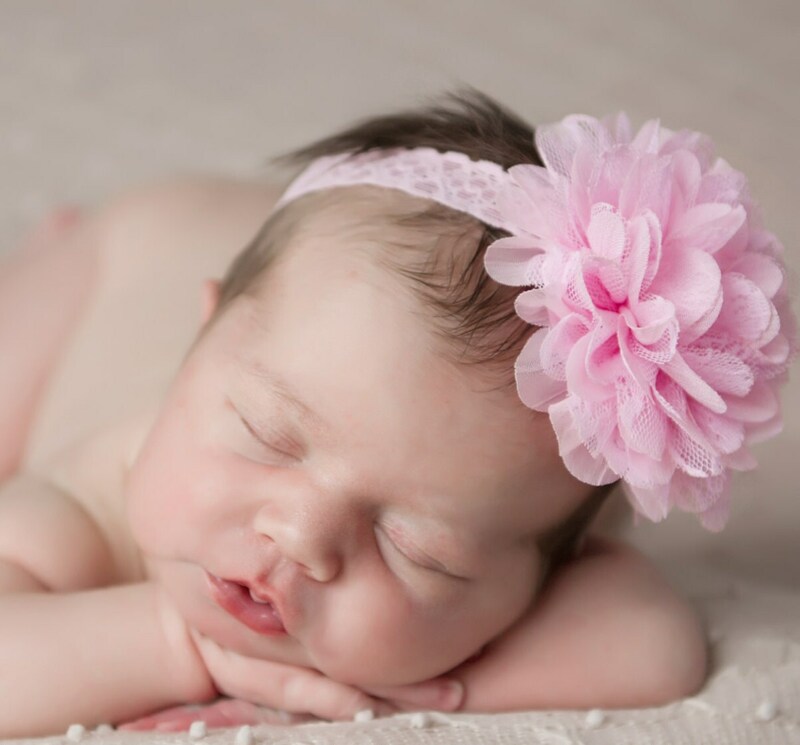 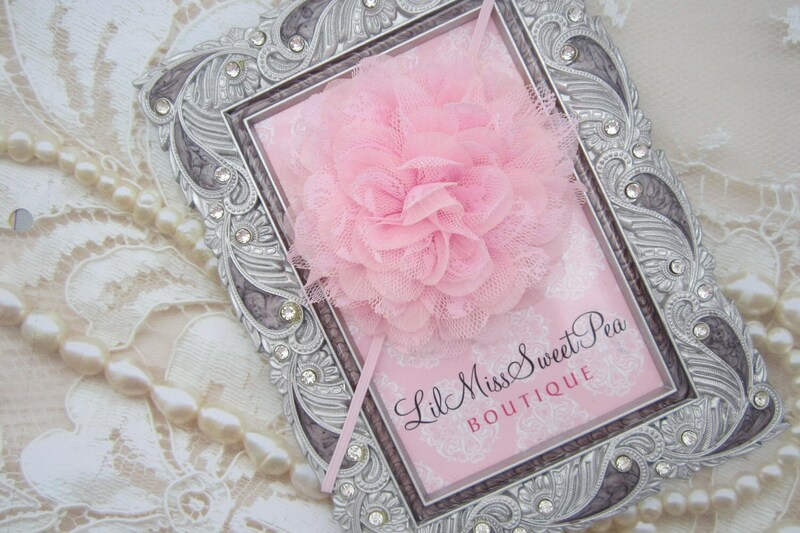 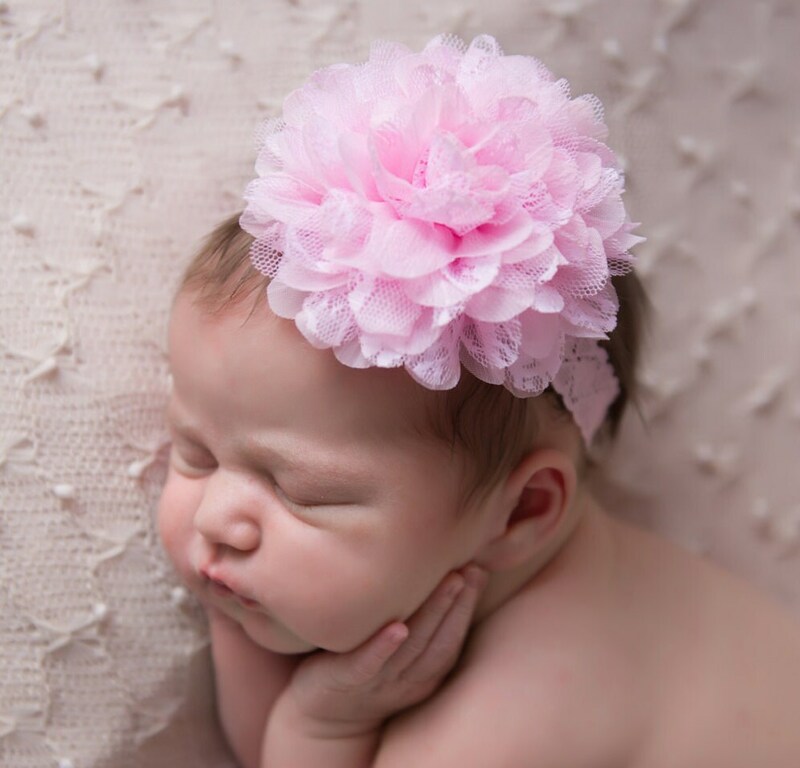 4 inch Chiffon and Lace Petal Blossom Headband on Pink Vintage Style Lace or Skinn y Elastic by Lil Miss Sweet Pea Boutique, photo prop, newborn, baby girl. 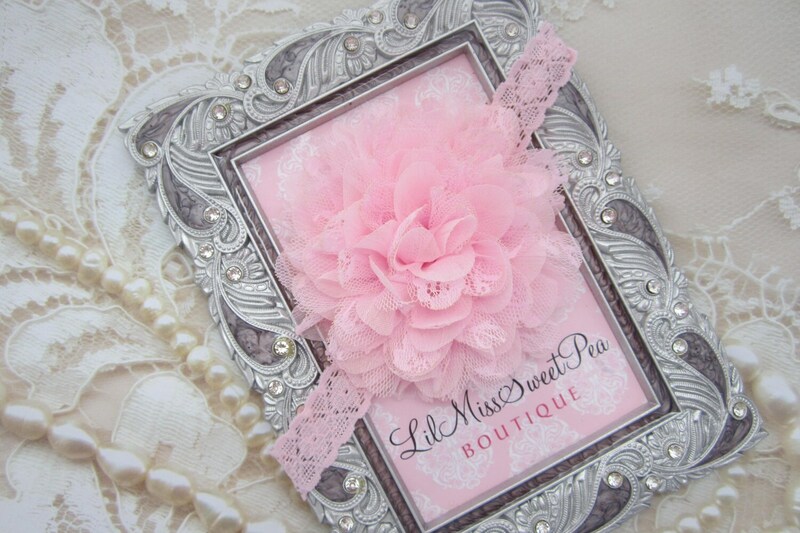 Item shown on the model is vintage lace (1/2 inch wide) Your other option is 1/8" skinny elastic. 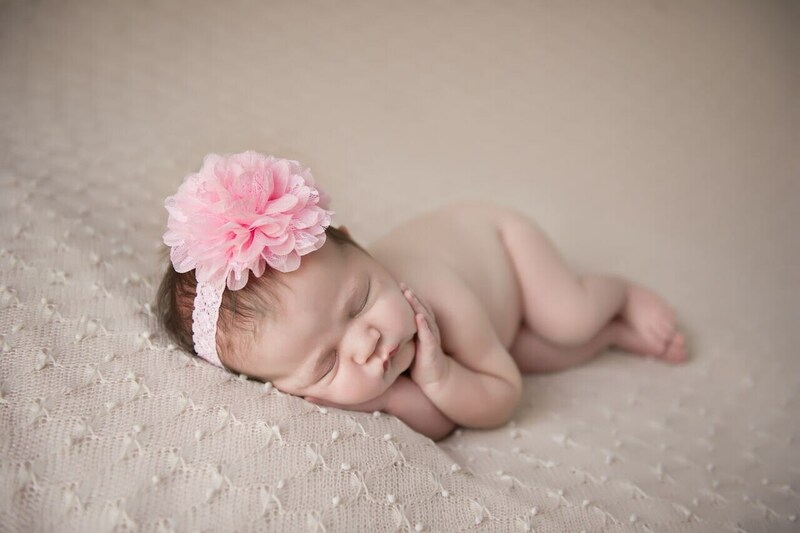 Perfect for all ages, choose your size from the drop down menu.